Mega-City One. 400 million citizens. 400 million potential criminals. With unemployment rampant and crime everywhere, there’s only one force in the city that you can rely on: The Judges. And toughest of them all is Judge Dredd. Judge, Jury and executioner, he is the law! Judge Dredd is one of those comics that I have an unhealthy amount of love for. Most folks are familiar with the 1995 Sylvester Stallone film, or the recent one starring Karl Urban as the lawman of the future. 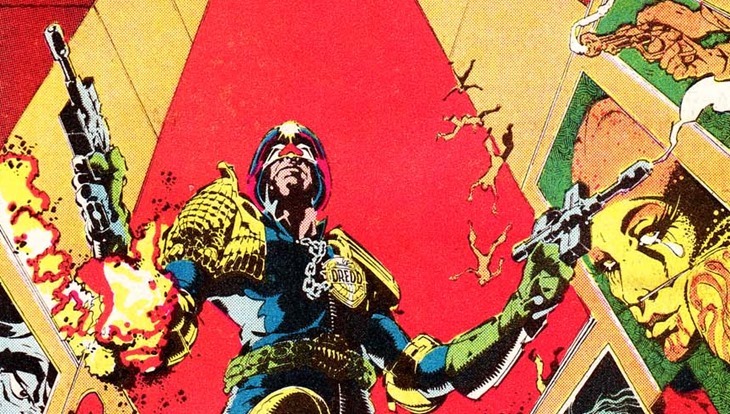 Thing is, Dredd has been around since the 1970s, appearing in the second issue of 2000AD. The character is the very embodiment of the law, for good or bad. Good, because his dedication to justice is unwavering. Bad, because even the smallest crime around him is deserving of some dental rearrangement surgery via his trusty daystick. That makes for an interesting character, one who has had his resolve shaken, been shot more times than he can remember and has survived the deaths of billions around him in a future world that is as savage as it is lawless. And yet he always stands tall. I’ve actually got the very first Judge Dredd comic in my possession, in case you need further explaining as just how much I appreciate this character. Hell, I’m busy trying to assemble an entire run of 2000AD comics, something which may be impossible. But I have to try, because the alternative is life in the cubes. Also, failure to watch the video above is an additional 20 years. Enjoy!